Great!!! !.I like SD ver of this story. Even layla and Lein are so cute! Surprising work! Very nice wallpaper... It very rare to see sub characters in wallpaper... I like!!! 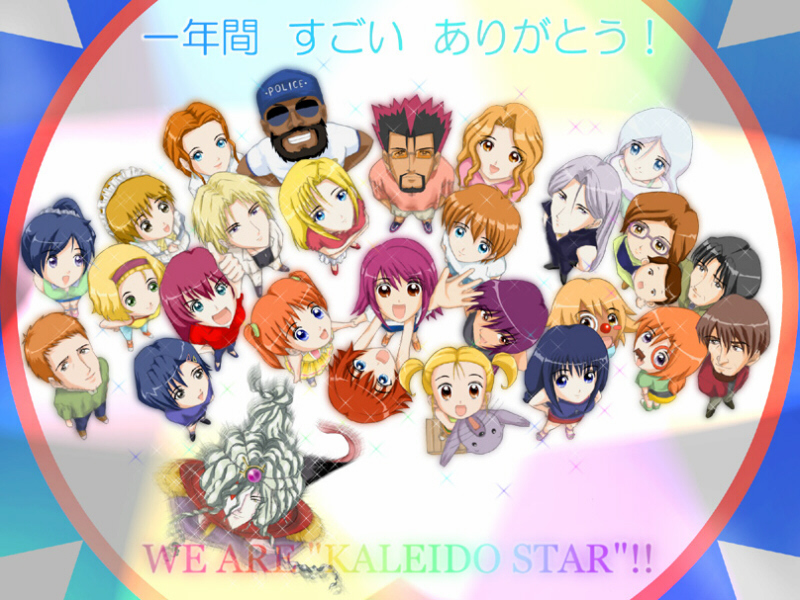 This wallie makes it easy to recall the almost too large cast of Kaleido Star ^^; I do quite like the show though.